Do you have cold feet and Raynaud's disease? This arcticle is for you ! Do you have cold feet and Raynaud’s disease? To suffer from Raynaud’s syndrome is not only to have cold hands or feet. Raynaud’s disease is a chronic pathology affecting the blood circulation, affecting the extremities of the body and causing acute cold sensations. It develops mainly in the event of exposure to the cold and, more rarely, in periods of emotional stress. To get into the details, under normal circumstances, the blood vessels at the ends of the body compress themselves to preserve internal body heat. In Raynaud’s syndrome, these same blood vessels undergo spasms: their size decrease considerably and blood no longer circulates until the end of these spasms. This phenomenon can then last a few minutes or several hours. The hands and feet (more rarely the nose and ears) are then deprived of blood and become exsanguinated. This phenomenon is not particularly painful, but it is the warming of these limbs that is. In severe and rare cases, the permanent decrease in blood circulation may cause a deformation of the fingers or toes. In this article, we will look at some tips to reduce the effects of Raynaud’s disease, and how new technologies can help patients with it. The effects of this disease, although incurable, can be alleviated for those affected. The aim here is not to prescribe a drug against Raynaud’s disease, but to propose natural solutions to avoid being dependent on it. This dependence can be avoided by various small actions. First, cover up to prevent seizures. Be careful, it is not enough to wear socks or gloves. The Raynaud effect is the manifestation of a general reaction of the body. It is therefore unnecessary to cover only hands and feet. All you have to do is keep your face cold and you will feel the consequences. Always in the preventive framework, do not hesitate to carry heaters with you. In summer, sudden temperature changes should be avoided. Moving from an air-conditioned place to the heavy heat from the outside can trigger the effects of Raynaud’s syndrome. In order to reduce thermal shock, it is essential to have extra clothing and gloves on hand. This technique is to be applied both when you go to the grocery store and when you go to the movies. A few elements present in the daily environment can aggravate the case of some patients. Since it is impossible to prevent them from appearing, it is easier to alert people with Raynaud’s syndrome. The main example is the effect of cigarette smoke. In addition to all its other harmful effects, smoking has undesirable consequences for people suffering from Raynaud’s disease. It is also a pathology that can be partially countered by the practice of sports activities. Indeed, regular exercise warms the body and improves blood circulation. Different thermal solutions exist to warm the ends. One of them is the Warm Series heated insole developed and marketed by the French company Digitsole. They are an effective remedy for individuals with cold feet in winter. 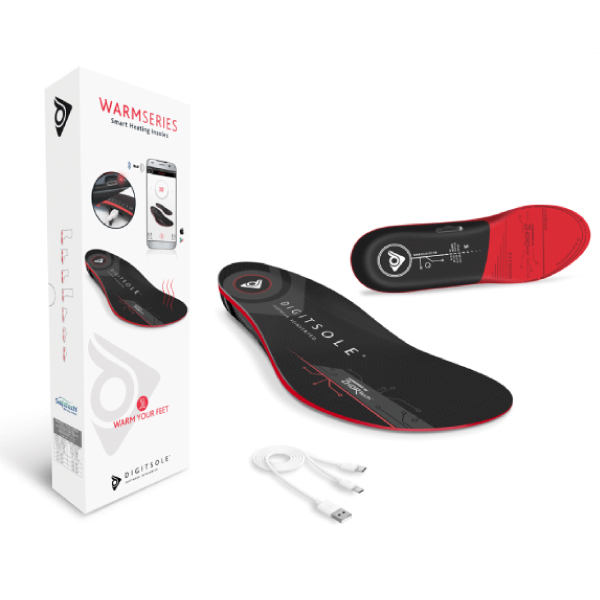 These are thermal insoles, rechargeable and directly connected to a mobile application. Via this tool, you can set the heating temperature of your insoles from 20 to 45°C and have access to the details of your route via your GPS data. These are lightweight, thin and comfortable insoles. Adapted and adaptable to any type of shoe, they can be worn throughout the winter period. In addition, the autonomy of these soles is interesting: the battery has the capacity to heat for 7 hours at a heating temperature of 35°C. This solution should be considered for people with Raynaud’s disease.